Crooked or misaligned teeth are teeth that do not fit together correctly and are at a risk of being lost early due to tooth decay and periodontal disease. So, get the best orthodontic braces treatment in Mohali or in tricity in order to avoid any such risk. It may also cause extra stress on the chewing muscles that can further lead to a headache, TMJ syndrome, and neck, shoulder and back pain. Teeth that are crooked or misaligned or not in the right place can also affect one’s facial appearance. The benefits of orthodontic treatment include a healthier mouth, a more pleasing appearance and teeth that are more likely to last a lifetime. Orthodontic treatment services in Mohali, at Specialists Dental Care are tailored according to needs of the patient. 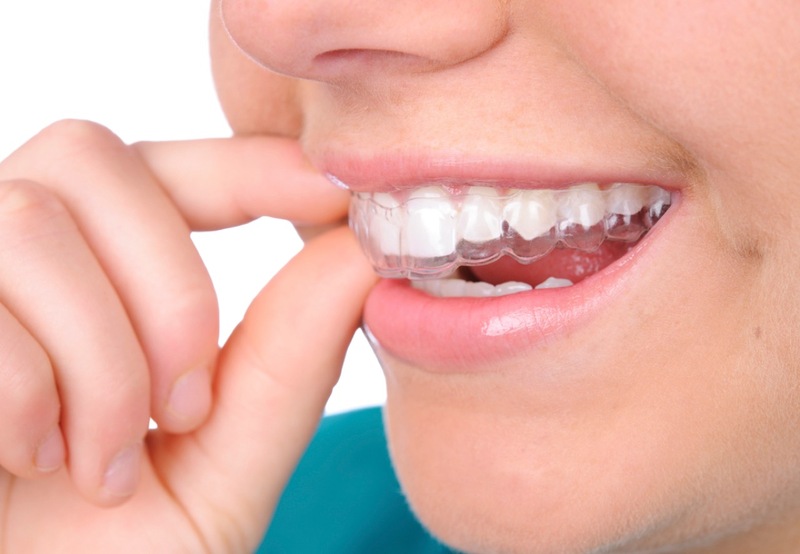 Dental Braces are devices used in orthodontics that align and strengthen the teeth and help to position them with regard to the person’s bite, while also working to improve dental health. They are often used to correct under bite, overbite, cross bite, open bite, deep bite and various other malocclusions of teeth and jaws. The application of orthodontic braces in Mohali, Tricity moves the teeth as a result of the force and the pressure on the teeth braces have constant pressure, which over time, moves the teeth into their proper position. Lingual Braces are custom made fixed braces bonded to the back of the teeth making them invisible to other people. 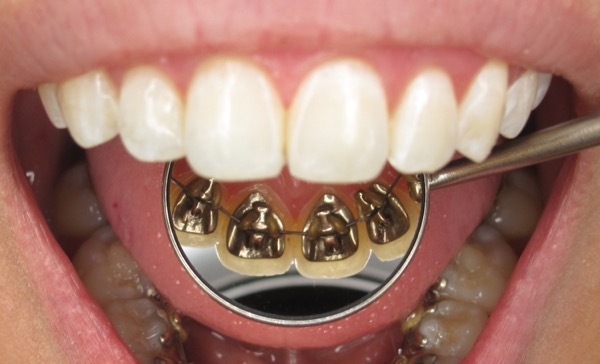 In lingual braces, the brackets are commented onto the backside of the teeth. Hence, they are a cosmetic alternative to those who do not wish the braces to be visible. If you go through smile designing using Clearpath, you can attain the smile you have always wanted. 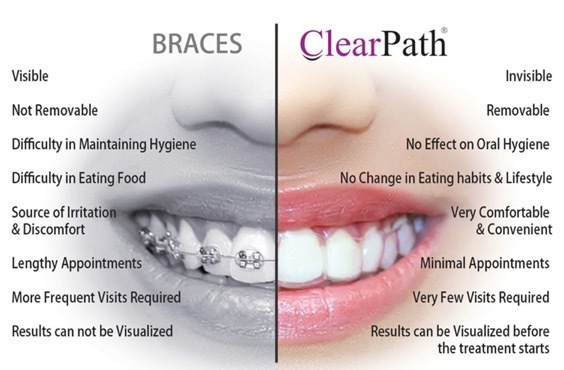 Clearpath aligners are removable medical grade plastic appliances which patient wears instead of brackets and wires to correct the malocclusion. They are the modern alternative to braces, for teeth that are in need of straightening. Clearpath aligners also offer predictable result visualisation even before the treatment. Removability:You can remove Clearpath aligners to eat, drink, brush and floss or for special occasions.